Preliminary financial figures show Highland County’s 2019 General Fund budget is expected to be $10.1 million — a slight drop from last year’s $10.3 million — and county department heads have requested a total of $10.8 million for their agencies. 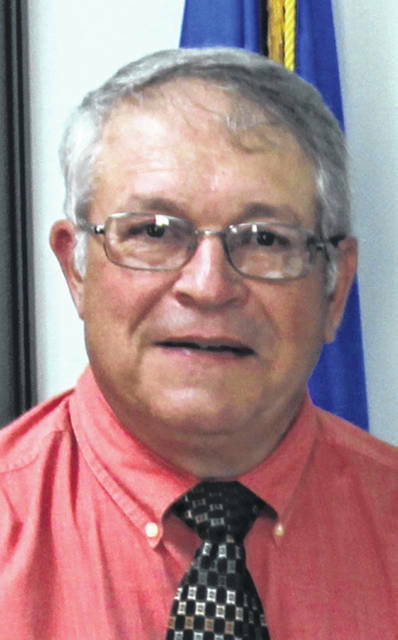 In the Highland County Board of Commissioners’ first round of discussions on the matter Wednesday, board President Jeff Duncan said the board will meet with department heads in coming weeks to trim down requests. “We’ve begun reaching out to them so we can get together one-on-one to see what their upcoming requirements are going to be,” Duncan said. Commissioner Terry Britton said the higher budget requests for next year were not limited to just a few departments. Commissioner Gary Abernathy said the information given to the board didn’t indicate any unreasonable requests in funding. County Auditor Bill Fawley said as discussions play out, the commissioners will be able to determine needs over wants in individual budgets. He added he would be able to give commissioners a “hard number” on the budget later this month. Fawley told The Times-Gazette he normally gets sales tax figures sometime between Oct. 15 and 20. He said his office will compare those numbers with previous years, helping commissioners to arrive at a more solid number for next year’s budget. He said that when his office comes up with an exact amount, he passes that figure to the commissioners, who then have to balance the budget to that number. Fawley said as the revenue figures firm up, he will be able to give county commissioners that “hard number” within the next two to three weeks. “The commissioners can’t approve any budgets for 2019 until I have given them a number as to what I think the estimated revenue will be, which I’ll be able to do later this month,” he said.